There is no denying the mental and physiological benefits of a healthy diet coupled with exercise. These benefits are universal to everyone. However, what about the impact of these on someone who is in early recovery from alcohol and/or drug addiction? The effect that substances of abuse have on ones body are highly detrimental from both a physical and mental aspect. Chronic alcoholism can leave someone with a severely damaged liver, kidney trouble, and elevated blood pressure; not to mention a significant chemical imbalance in the brain. However, in today's world professionals are encountering more and more cases of poly substance abuse. Often times it is a combination of drugs. It could be alcohol and amphetamines, or amphetamines and opiates, and the list goes on and on. When these combinations of substances are abused in large amounts over an extended period of time the damage is severe. Couple that with the fact that individuals who are in active addiction have poor eating, sleeping, and hydration habits, and it's a breeding ground for both mental and physical deterioration. When individuals enter into rehabilitation programs there are several processes one goes through. The first and most critical phase is the medical detox. During this phase an individual is monitored by medical professionals who administer certain medications to keep the individual both comfortable, and medically stable as they go through this phase. After this an individual will often transition to a rehabilitation program. There are many rehabilitation programs, but they all have one thing in common: to treat the person suffering from addiction and help them gain the tools they need in order to maintain sobriety outside of treatment. However, it is well known in the field that addicts are some of the most stubborn people there are. Often times they will have a negative perspective, and present as resistant to treatment. This resistance to treatment could come in many forms, it could be depression, thus making it difficult for the individual to respond to treatment. It could be a low self-esteem and the individual believing they are not worth recovery. It could be just plain out defiance. All of the above are not solely caused by chemical imbalances in the brain, but these imbalances either caused or exacerbated by drug abuse without a doubt influence this resistance. This is where exercise and a healthy diet come into play. It is becoming more and more apparent based upon research that these things have a profound impact on the individual in recovery. Exercise will do many things for the recovering addict. First and foremost, it will cut in half the time needed for the brain to balance itself out. For example, studies show that in individuals with an opiate addiction, the brain recovers in twice the time when they exercise three to four times a week for thirty minutes or more. What about the individual who suffers from addiction to substances such as amphetamines, or alcohol that can cause the person to have depression? 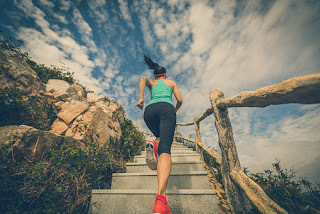 Studies show the same outcome- if the depression was caused by drugs, and not biological factors, intensive exercise multiple times weekly will help the individuals brain to balance itself out, and often times within a period of six to nine months. Of course not every one is the same and sometimes medications are definitely needed. Combining healthy eating and exercise for the addict in early recovery is paramount. It is not about getting in shape, or a summer body, or looking good. It is about helping the body adjust and heal itself, it is about giving the individual life skills, it is about helping them set personal goals for themselves and attaining them through discipline and dedication. If you are considering a rehabilitation program, make sure it has some sort of exercise and diet planning involved! Whether it be a gym, hiking, mountain bike riding, or sports. Whatever it is, it will help your loved one stabilize, and preserver on the road to recovery!